Just Listed :: Adorable Renovated Ranch in Drew Valley! Welcome Home! 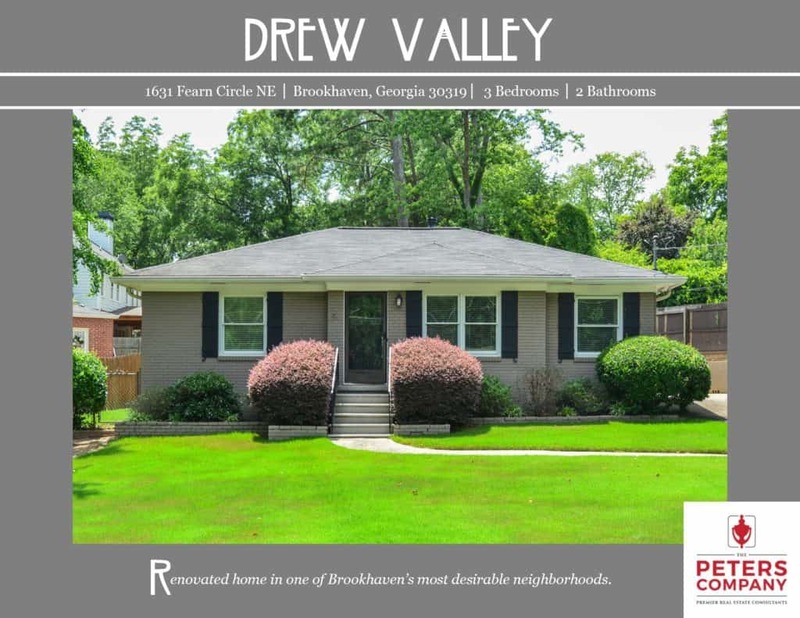 Nestled in Brookhaven’s popular Drew Valley neighborhood, this home is just what you’ve been looking for! The flowing floor plan, custom features, and charming character will never go out of style. A master suite addition and kitchen renovation are wonderful updates that add amazing space to the home. The close proximity to Peachtree Road, I-85, and GA400 makes it convenient to and from any direction. You’ll also enjoy being close to all of your favorite Brookhaven hot spots including Town Brookhaven and Village Place Brookhaven! · Light and bright kitchen has been totally transformed and features stainless steel appliances, granite counters, tons of cabinet and storage space, tile backsplash, and a walk-in pantry. · Spacious living room lets in plenty of natural light. · Gleaming hardwood floors and crown molding are carried throughout most of the home. · Master suite addition is a true retreat including a trey ceiling, huge walk-in closet, and spa-like master bathroom with a double vanity and large walk-in shower. · Updated hall bathroom has a relaxing soaking tub. · True mudroom offers a laundry area, workspace, and extra storage. · Fenced yard boasts a patio ideal for outdoor enjoyment and entertaining as well as a useful storage shed.